The Pensacola Grand Mardi Gras Parade is annually the largest and most extravagant parade in Pensacola. This parade itself, brings the most attention from the public and the highest traffic with attendees and participants numbering in the hundreds of thousands, is the largest gathering of people in Downtown Pensacola during the entire year. The Grand Mardi Gras Parade features most of the Krewes from the area, local organizations and companies and everything from marching bands to Scout groups. Many parade entrants come from out of town as well. The parade has over 6000 people who participate in the parade, often over 100,000 t the parade. Media coverage is tremendous with the largest parade than we do, but none have any bigger. The parade is broadcast live on local TV and coverage of the parade including radio, TV, print, and social media has a reach of literally millions. The parade takes place on Palafox and Garden Streets in historic downtown Pensacola. The Parade starts at 2:00pm and continues until around 6:00pm. 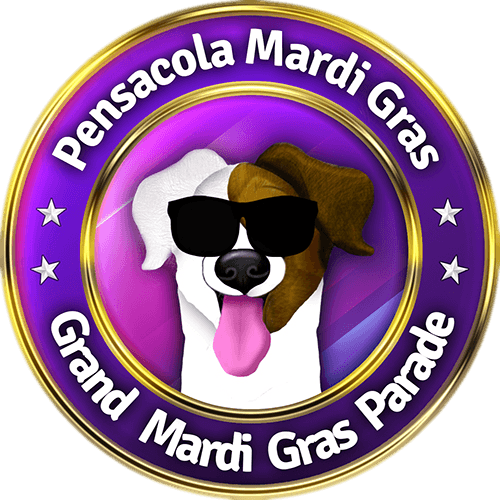 The Grand Mardi Gras Parade is by far the the largest event of Mardi Gras and of Downtown Pensacola annually, and will prove to be the highlight of the season again this year. Let us know about your event and we'll add it to the calendar!